Beginning Sunday, April 4, Utah Transit Authority will make a number of changes to its bus and rail services. UTA will also end regular ski service to resorts in Big and Little Cottonwood canyons. Major changes are given below by service type. The reductions in service are a result of significantly reduced sales tax revenues due to the economic recession. 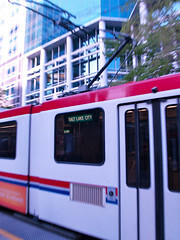 For a full list of changes, go to www.rideuta.com/changeday. In Davis and Weber counties, express routes 474 and 476 will be eliminated. Route 472 will not be discontinued as originally proposed; it will continue with seven trips in the morning and seven trips in the afternoon. The number of stops will be reduced to serve the three park-and-ride locations not conveniently located near a FrontRunner station: Riverdale, Layton Hills Mall and Kaysville. In Salt Lake County, Sunday service will be eliminated on routes 39, 45 and 72. Saturday service will be eliminated on routes 9, 11, 17, 228, 232 and 248. Route 551 will be eliminated. Other service changes are being made to increase efficiency and reliability, or to eliminate individual low-ridership trips. Several routes currently using North Temple will be rerouted in anticipation of the North Temple viaduct closure on April 18. See the UTA website for a full list of changes by route. UTA’s regular seasonal ski service will also be discontinued effective April 4. Limited off-season worker trips in the morning and evening will continue to serve Little Cottonwood Canyon. Effective April 4, mid-day FrontRunner service will be reduced to hourly during off-peak hours. For northbound travelers, trains will run hourly between approximately 9 a.m. and 1 p.m. For southbound travelers, trains will run hourly between approximately 10 a.m. and 3 p.m. FrontRunner will continue to run at 30-minute frequency during peak commute hours. One new early morning trip will be added on weekdays, departing Ogden at 4:16 a.m. Evening FrontRunner service will shift to hourly after approximately 7 p.m. northbound and 8 p.m. southbound. The last northbound trip will be at 10:57 p.m.
Other changes include a schedule adjustment on Saturdays to improve connection times and a change to southbound trips from Pleasant View in the afternoon, which will require a transfer at Ogden station. 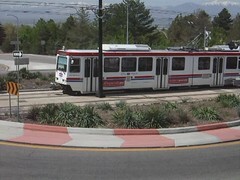 As previously proposed, a reduction in the number of trips for direct Sandy-to-University trains will go into effect May 3 to coincide with the end of the semester at the University of Utah. UTA will continue to provide 15-minute TRAX service to the U of U and Sandy all day, but riders travelling during off peak hours will need to transfer at Gallivan Station. For more information, visit www.rideuta.com/changeday. The Utah Transit Authority is currently accepting nominations for its “I Choose to Use UTA” awards. The annual recognition honors individuals with disabilities who choose to use UTA’s accessible fixed route buses and rail service to achieve independence through mainstream, integrated public transit. Nominations will be accepted through May 10. 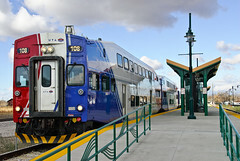 An application is available on UTA’s website at www.rideuta.com or may be requested in alternate format to Sherry Repscher, ADA Compliance Officer, at (801) 287-3536 (voice) or dial 711 to make a relay call. Award winners will be announced on Monday, July 12, at UTA’s annual ADA Celebration, which recognize progress in transit options since the passage of the Americans with Disabilities Act in 1990. The event is sponsored by UTA and its community advisory group, the Committee on Accessible Transportation. For more information about UTA accessibility and the Committee on Accessible Transportation, visit www.rideuta.com/accessibility. Midvale – A section of the Jordan River Parkway trail near Gardner Village will close for two weeks beginning Monday, March 29, to accommodate TRAX construction in the area. The trail is planned to reopen on April 12 weather permitting. The closure will extend from 7200 South to 7800 South in Midvale. No trail detour will be available for the duration of the work. A section of the trail is being relocated a few feet east to accommodate a widening of the railroad embankment for the future Mid-Jordan TRAX line. The 10.6-mile Mid-Jordan TRAX line will run from the Murray 6400 South TRAX station southwest through Midvale and West Jordan to the Daybreak development in South Jordan. It is projected to carry more than 5,300 riders per day at opening. · Crews continue working on the rail and ballast in the center of Constitution Boulevard. · Concrete work will continue next week on grade landings, ramps and steps. · Crews will continue working on irrigation and landscaping items near Market and Lehman Streets. · Crews are installing rail on the south side of the 3100 South and Decker Lake Drive intersection. Please obey speed limits. · Curbs and sidewalks are scheduled to be poured at 3100 South in the next few weeks. · Temporary closure on Decker Lake Drive begins Monday, March 29 (see map to the right) – The northern portion of Decker Lake Drive between Research Way and approximately 2850 South will close for eight weeks for TRAX construction. This temporary closure will accelerate construction by months in this area. Access will be maintained by the detours listed to the right. We thank the businesses for their support and patience and encourage them to call the construction hotline if issues arise. Reach Description: Reach 5 will include construction along 1070 West in the Chesterfield industrial area. This reach will include bridge structures over the Jordan River and 900 West. · Crews will resume work on 1070 West during the first part of April when crews form and pour curb, gutter, sidewalk and driveways. We will meet with businesses as we get closer to construction. · Trenches are filled and temporarily paved for winter. Traffic Impacts: There will be lane restrictions, although access will be maintained. Construction on the project is permitted to take place between 7 a.m. to 7 p.m. Monday through Saturday. Additionally, specific activities may require different working hours and will be coordinated with city officials. * The Jordan River Parkway Trail will be closed from March 29 through April 5. * Winchester Street in Murray will be closed at the TRAX crossing from April 5 through April 9. Installation of station canopies is nearly complete at the two Daybreak stations. Overhead catenary system (OCS) and signal systems are being tested and electrical connections are being completed at station platforms. Light poles, curbs and sidewalks are being installed at the 5600 West station Park & Ride. The OCS system is nearly complete in this segment. Much of the activity currently taking place here is focused on drainage and grading between 4800 West and 4000 West. ACTIVITY: Permanent handrail installation at Bangerter bridge. TRAFFIC IMPACT: Bangerter Highway will be subject to overnight lane closures both Friday night, March 26 and Saturday night, March 27 between 11 pm and 5 am. Installation of the storm drain at the Redwood Road grade crossing will be complete this week. Crews will be removing the median at the crossing to conduct soil tests prior to reconstruction of the crossing. New track is scheduled for installation between Redwood Road and 1300 West, and signal work continues. Sound wall work is moving forward along Sugar Factory Road. *NEW ACTIVITY: Pre-cutting pavement prior to railroad crossing reconstruction. TRAFFIC IMPACT: Intermittent lane closures on Redwood Road from 9 am – 3 pm weekdays and all day weekends. Business access will be maintained. This work is scheduled to begin March 31, but could be postponed due to permitting issues. ACTIVITY: Storm drain installation at the Redwood Road grade crossing. TRAFFIC IMPACT: The two outer southbound lanes (on the west side of the street) will be closed Friday, March 27 through Sunday, March 29. Business access will be maintained. ACTIVITY: Sound wall construction continues between 2700 W and 2200 W.
TRAFFIC IMPACT: Sugar Factory Road will be reduced to one lane intermittently between 2700 W and 2200 W. Flaggers will be present. Crews are constructing the abutments (the concrete supports on both ends) for the Jordan River bridge. Cyclists and pedestrians using the Jordan Valley Parkway Trail should be aware that the trail will be closed from March 29-April 12 due to work between the Jordan River bridge and 7800 South. Grading and storm drain installation continues at the Gardner Village Park and Ride lot. Water line installation at 7800 South will be complete this week. *NEW ACTIVITY: Jordan River Parkway trail reconstruction. TRAFFIC IMPACT: The Jordan River Parkway trail will be closed between 7800 South and the Jordan River railroad bridge from Monday, March 29 to Monday, April 12. ACTIVITY: Water line installation continues near Gardner Village. TRAFFIC IMPACT: Lane closures on 7800 South at Gardner Village will continue through Tuesday, March 30. Grading work continues near Cottonwood Street as crews prepare to build the new track connecting the Mid-Jordan line to the existing Sandy-Salt Lake TRAX line. A new water line will be installed under Winchester Street in early April. 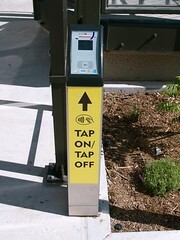 *NEW ACTIVITY: Installation of a new water line near the Fashion Place Park and Ride. TRAFFIC IMPACT: Winchester Street will be closed at the TRAX crossing from Monday, April 5 through Friday, April 9. Motorists are asked to use 7200 S as an alternate. Below is the FrontRunner South construction update March 27 – April 2. To learn more about the FrontRunner South project, click here. Visit www.flickr.com/rideuta to see more FrontRunner South construction photos. Central Avenue has reopened until crews resume work on the bridge walls. At the 5300 South bridge, crews will be driving H-pile at the north abutment and tying in a conduit near the bridge. Work on handrails, deck plates and shear keys continues at the I-215 westbound bridge. They will also be constructing a cheek wall and a crash cushion and barrier. At the 7200 South bridge, crews will continue work on a retaining wall at the south abutment and begin work again on the south abutment. There will be a lane closure on I-215 westbound on Thursday night from 10:00 until 2:00 a.m. on Friday. Between 9000 South and 9400 South, crews will install temporary fencing and clear and grub the corridor, and at 9400 South crews will relocate a storm drain. At the flyover bridge, crews will be setting girders, and, between 114000 South and 123000 South, crews will clear and grub the corridor. At Corner Canyon, Armor Flex block installation continues and crews will also be installing reinforced concrete pipe in the area. At the Bangerter Highway bridge, crews will install sheet pile at the south abutments, drive pile at one of the bridge piers and work on the column for another of the piers. There will be a westbound lane drop on 9400 South all week. On Monday, Wednesday and Thursday on Bangerter Highway there will be left lane closures on both the westbound and eastbound sides. There will be a left lane closure on Tuesday on the westbound side and a right lane closure on Friday on the eastbound side. South of the 146th South bridge, crews will continue retaining wall work, sub grade prep and slope finishes. They will also be setting a gate and installing fence at the bridge over the Jordan and Salt Lake Canal. Crews will be setting girders and installing hand rail and shear keys at the Jordan River bridge. At the South Jordan Canal multi plate structure, crews will continue work on membrane installation, steps, a well house pad and retaining wall. They will also continue backfilling at the structure and fencing at the wall constructed near this structure. Also in the area, crews will prepare the sub grade and balance Union Pacific’s sub grade. At the 2300 West bridge, crews will be forming and pouring concrete for the north abutment footing. Retaining wall work also continues in the area. The 2100 North bridge in Lehi will consist of two abutments on each end of the bridge and five center piers with the piers being numbered 1 through 5, for this publication, starting at the southern end of the bridge. Crews will continue to drive H-pile at pier #4 and begin work on the footing. They will also be working on the north abutment. Excavation and stabilization work for a retaining wall will continue between 2100 North and 1500 North. Crews will also be relocating irrigation systems in this area. Between 1500 North and 1220 North, crews will continue work on a concrete irrigation ditch. Between 900 North and Main Street crews will continue placing surcharge for structures in the area. In Lehi at 500 West 300 North there will be truck traffic with flaggers all week. Between Storrs Avenue and 200 South crews will clean up ditches, and between 1500 South and 600 South crews will surface, line and dress the track. Clearing and grubbing and track way embankment work will take place between Vineyard Road and Geneva Road. There will be truck traffic with flaggers at 1600 North in Vineyard this week. Paving operations continue and curb and gutter work will begin in the Park and Ride Lot. Crews will also be backfilling in the area. Crews will continue to backfill at the station site. In Orem crews will continue installation of soil nails and shotcrete at the wall near University Parkway. Crews will also be boring at University Parkway. In Provo, track way stabilization continues between 700 West and 600 West as well as sub grade prep and ballast placement. Between Freedom Boulevard and 600 West crews will also be prepping the sub grade and placing sub ballast. The demolition of a house near Freedom Boulevard and 600 South continues this week as does work on a crash wall south of University Avenue. There will be truck traffic with flaggers all week at Geneva Road in Orem. At Freedom Boulevard and 500 West in Provo there will be truck traffic with flaggers. Crews will continue to lay out electrical conduits at the station site this week and also place an edge form. Current Construction: Crews continue to “pothole” or expose utilities in this reach. At the beginning of April, crews will begin work on a 16” waterline across Terminal Drive near the main entrance of the airport. Lane restrictions will be in place during this work. On April 12, crews will begin underground utility work along 3700 West. More information will be provided to businesses as we get closer to construction. Right lane restrictions along Bangerter Highway just north of the I-80 off-ramp, entering the airport, are in place Monday – Friday and occasionally on Saturday. A traffic plan is currently being drafted for the work that will take place on 3700 West. More information will be provided as we get closer to construction. Work continues on the box culverts at the north and south surplus canals. Currently, abutments, footings and wing walls are being poured for these structures. Girders are expected to be placed at these locations in late May or early June. Crews are also extending the North Pointe Canal culvert to accommodate the TRAX train. Underground utility work continues on the south side of North Temple near Park’n Jet. Crews have begun roadway widening activities east of 2200 west on the south side of the street. More than 900’ of curb and gutter have been poured on the south side of North Temple near Park’n Jet. Work will continue on manholes and the 15” storm drain in Reach 3 throughout next week. Water line work is nearly complete near the transition from North Temple to old North Temple and this access will be open toward the end of the week. Storm drain crews are beginning the first phases of work in Reach 4 by “potholing,” or exposing utilities, to determine tie-in points. Crews are scheduled to begin relocating utilities at the end of March. Crews will begin work on manholes and the storm drain near Redwood Road next week. We will meet with businesses to provide more information. Traffic Impacts: There are currently right/left lane restrictions between the I-215 overpass and 1950 West. As work progresses, there will be additional lane restrictions for both east and west bound traffic. Access will be maintained at all times. Progress continues on the Jordan River Bridge. Crews are constructing the bridge half at a time to maintain one lane of traffic in both directions. This work is expected to take place for approximately eight to nine months. Crews are preparing to install a waterline on the north side of the Jordan River Bridge. When this is completed, a sidewalk will be poured and then traffic will be switched to the north side for the next several months. Heavier construction is anticipated to begin winter 2010. Current Construction: Traffic management extends into Reach 6 due to work taking place on the Jordan River Bridge, but access is being maintained. Upcoming Construction: The majority of heavier construction is anticipated in late Spring 2010. Progress is being made on the 30” waterline being installed along 400 West between South Temple and North Temple. We thank the businesses and other organizations for their support and patience during construction. Utility work along 400 West will be completed prior to beginning work on the North Temple viaduct, which is scheduled for April 18. The North Temple Viaduct re-construction project will begin on April 18 and last for approximately 18-months. We will meet with businesses and post more information as we get closer to this work. · During the 400 West utility work, traffic will be limited to one lane in each direction on 400 West between South Temple and North Temple between 5 a.m. to 11 p.m. Access will be maintained. Please see traffic configuration below. · Between 11 p.m. to 5 a.m. – Traffic restrictions will be in place on 400 West at South Temple. o Westbound traffic on South Temple will not be allowed to turn left. Please see the traffic configuration below. Amtrak will lose one of its most important human assets at the end of this month. Cliff Black, long the public face of Amtrak and its long serving spokesman is retiring after decades of service. He will be greatly missed by all of us who have known him professionally, and by those who have worked directly with him. During his tenure at Amtrak there have been too many presidents of the company who have come and gone to keep count of, but, through each change of leadership at Amtrak the one constant has been Mr. Black’s deft handling of the news media and corporate communications. Any of us seeking true, honest information knew Cliff Black was the man to talk to; while keeping on message for his employer, he never led anyone in the news media astray, an amazing feat in today’s world of journalism. A phone call to or from Cliff Black is always a few moments of pleasant diversion. A written message from him is always an honest missive, whether it contains good or bad news. So, Mr. Black heads into the next part of his life, leaving the corporate world behind. All of us thank him profusely for his service to Amtrak and good journalism, and wish him well for the future. If his successor is just half as good at what Mr. Black does, then his successor will be a great success. An ocean liner does not turn on a dime, and neither does a large corporation. Some parts of Amtrak are definitely changing course while others have not yet caught up. Starting with the positive, we hear a few weeks ago that real china, linens, and glassware are returning to the Coast Starlight. This is certainly a good bit of news, and part of a refocusing on passenger needs. One wonders, however, how many surveys are required to determine that folks shelling out the equivalent of a fairly posh hotel room in most American cities, for their “first class” railway accommodations, expect a table setting in the diner to more closely approximate something saying “Lenox” than “Dixie Cup Company.” We do extend a note of approval to Mr. Brian Rosenwald, Chief of Product Development, and all those involved in the recent changes on the Starlight. The key to Amtrak solving its financial and public-relations challenges will be getting more people on its trains — not just “doing more,” but adding capacity. Again we see positive developments in the rehabilitation of wrecked Superliners and an order for Viewliners… the beginning of what needs to be a long road. Speaking of alternatives to wee-hour schedules, and doing more with existing routes and stations, we can now thank www.timetables.org — a new web site which has scanned all Amtrak’s historic timetables — for providing proof that, once upon a time, Amtrak operated at least one of its Western long distance trains on a twice-daily basis. Page 52 of the June 11, 1972 timetable shows both the Chief and the Super Chief operating Chicago-Los Angeles, on schedules several hours apart. Any railfan younger than 50 years old probably never knew this; certainly the popular railfan magazines never mentioned the fact in all the years I read them. One could well imagine all long-distance routes past the Eastern seaboard with two daily trains, spaced by eight or ten hours, providing convenient times in most every origin-destination pair… doubling revenue with little increase in station or system costs. In 1971, the El Capitan / Super Chief ran with six Hi-Level coaches containing 424 seats, and six sleeping cars containing eighty rooms with a total of 132 berths. The Chief which ran in 1972 carried three Hi-Level coaches containing 208 seats and two sleeping cars of various configurations. By 1975 the same operation (but renamed the Southwest Limited when a disgusted Santa Fe withdrew the rights to the traditional names) was down to three Hi-Level coaches containing 208 seats and three sleeping cars containing fifty-nine rooms with a total of 88 berths. Remember, the year 1973 saw the Arab Oil Embargo, rationed gasoline, and folks looking for any alternative to driving. Little Japanese cars like the Honda CVCC (later the Civic) were all the rage, as Detroit rushed the Vega and the Pinto to market. Where were 1972’s second frequencies on 1973’s Amtrak? Mr. Carleton writes, “We can confirm based on our own direct observations that none of those trains ran empty!” Have we yet truly overcome obstacles to expanding our country’s passenger trains? Judging by the past week’s Kansas rail study — no. The Lawrence (Kansas) Journal-World reports — http://www2.ljworld.com/news/2010/mar/11/amtrak-study-shows-routes-through-kansas/ — that “Ridership numbers have good potential, but [the] effort” to carry passengers between Kansas City and Fort Worth “will take years, officials say.” The study considered four options with start-up costs ranging from about $150 to $500 million (exclusive of stations), projecting 65,000 to 174,000 annual riders. John Mills of Topeka noted in a forum elsewhere on the Internet that the study includes the addition of a second main track to 40 miles of the BNSF railway, at four million dollars a mile, rather than a more sensible six mile stretch of double-track and one new passing siding. Much more than that, he argues, is more a pure benefit to freight movement than a mitigation of the relative few minutes of delay introduced by a couple daily passenger trains, and thus should be partly paid for by BNSF itself. Bluntly, just as with last year’s flawed system expansion reports (the Sunset Limited east of New Orleans, the Pioneer and the North Coast Hiawatha) the Kansas study overstates the obstacles and understates the potential to get something moving quickly while seriously working with the railroads to improve even further. There’s much more to say about this, next time. Specifically, this department will work on the planning and development activities that will allow us to significantly increase operating speeds above 150 mph (240 kph) on the Northeast Corridor. It will also pursue partnerships with states and others in the passenger rail industry to develop federally-designated high-speed rail corridors such as the new projects moving forward in California and Florida. Amtrak’s leadership in this area is reaffirmed in the Passenger Rail Investment and Improvement Act of 2008 and we must make every effort to remain in that position. That last paragraph sounds curiously aware of potential competition from the private high-speed railway operators of Europe and other shores. Who says competition is a bad thing? Finally, and on this subject, we hear from Mr. Daniel Carleton. Until next week, gentle readers. The awarding of the American Recovery and Reinvestment Act grants (ARRA) for High-Speed Rail projects has ended many months of speculation how the funds would be allocated. In all, $8 billion has been sown toward expanded and improved passenger rail service in America. The big winner is California with $2.3 billion going toward various projects, including a very small down-payment for their $45 billion HSR system. In comparison, Illinois, considered an early crony favorite, only picked up $1.1 billion; strange considering Chicago is the railroad hub of America. However, there are two states which are poles apart in their passenger rail ambitions and ARRA grant requests: Wisconsin and Florida. Wisconsin is on tap to receive $822 million; the vast majority of this to reinstate service between Milwaukee and Madison, 80 miles. Florida sees things somewhat differently. The Sunshine State is bequeathed $1.25 billion for preliminary engineering on a high-speed railway between Tampa and Orlando, 84 miles. Why does four miles add $428 million to the tab? Moreover, the total estimated cost of the Tampa – Orlando route is $3.5 billion. Can both these plans be realistic? In Wisconsin the idea is rather straightforward: reinstate passenger traffic between the state capitol, Madison, and the state’s largest city, Milwaukee. The right-of-way historically is former Milwaukee Road; part of the route, Milwaukee to Watertown, sees Amtrak’s daily Empire Builder. West of Watertown, the line is now governed by the Wisconsin & Southern Railroad, a local regional road. The Badger State has already committed $47 million dollars of state funds for two new fourteen-car TALGO trainsets to support their existing Chicago – Milwaukee service. Ostensibly, two more trainsets will be ordered to support this further expansion in service, and the concurrent increase in speeds to 110 mph, all of which is expected to be running by 2013. Florida, in contrast, has opted to reinvent the flanged wheel by building an entirely separate railroad between Orlando and Tampa, as part of a larger goal of extending the system to Miami. The initial phase would see a new right-of-way established between or near the lanes of Interstate Highway 4. New stations would be built even though numerous ones already exist. A new station is planned for Walt Disney World even though Disney’s involvement has been the kiss of death for all previous HSR incarnations in Florida. Preliminary engineering is expected to be finished by 2011 and service by 2014. The desire to utilize existing highway rights-of-way is manifold. On top of this list is the low-to-nonexistent cost of land acquisition. Yet, a brief look at the historical economic impact of highways should be reviewed before proceeding. When a new highway was built there was a positive financial influence; land at or near interchanges and exits became more valuable and businesses were built. However, over time traffic increased and transit times increased to the point of highway expansion. What was the economic impact of new lanes to an existing highway? Practically nil. The land at the interchanges and exits didn’t move and any extra business practiced comes no where near to paying for the lane addition. Does anyone realistically expect building a railroad adjacent to a highway, high-speed or otherwise, to have any different an effect? If built as planned, Florida’s HSR stations will be built at or near existing development. Whereas heavy construction will gain a short-term production there will be no long-term development. Is this worth $3.5 billion? There is an existing railroad between Tampa and Orlando with a daily scheduled Amtrak train. The right-of-way is owned by CSX and is predominantly a secondary route to Tampa. (A small section between Lakeland and Auburndale will increase in importance once a new yard in Winter Haven is completed.) This former Atlantic Coast Line trackage rolls through the heart of numerous well established central Florida towns such as Plant City, Lakeland, and Kissimmee; Lakeland having built a brand new station in 1998. Anchoring the west end of this corridor is Tampa Union Station, which was completely renovated and dedicated also in 1998. Orlando does not currently have the best station for the riding public. This situation which will change with the coming of SunRail commuter train service and a new intermodal station built downtown; Lynx Central Station. As of right now none of this existing infrastructure is slated to be utilized for Florida’s HSR ambitions. Is this really an act of recovery or reinvestment? What if Florida were to, instead of reinventing the flanged wheel, rebuild the existing corridor? The existing highway and its associated development will not go away; the fast food restaurants, big box stores and movie multiplexes are not likely to blow away with the wind. Rebuilding the existing railroad would mean an opportunity for growth to the towns and cities who owe their origins to the railroad. Downtown Tampa, where Union Station is already situated, could once again be made vibrant. Similar could be said of the smaller towns which atrophied or shrank in the highway age. What this means is jobs. Already development is seen, either on the ground or on the drawing board, around the area to be served by SunRail. There is no reason this cannot be expanded west. What does it say about governance when glitzy ambitions are placed ahead of the people’s needs? Amtrak is now saying the right things. Will they start doing the right things, like correcting last year’s flawed route studies as the first step toward a dramatically expanded national system? But first, a correction on the list of Florida stations in the last issue. Amtrak serves Kissimmee and Lakeland between Tampa and Orlando. The other stations are were on the alternate Jacksonville-Tampa line, which Amtrak no longer uses. I am writing the column from Scottsdale; I have lived in the Phoenix area since 1991, Northern Virginia before that, and Boston for most of my first 23 years. I mistakenly copied the wrong list of stations, probably remembering my trips on the Silver Star and Silver Meteor to St. Petersburg and Clearwater in the 1980s. Mea culpa. In the 1940s, a consortium of companies symbolically led by General Motors drove the privately-owned street railway business to bankruptcy. Seven decades later, the streetcar returned the favor. National City Lines, organized by G.M.’s Alfred P. Sloan to purchase trolley lines and replace them with rubber-tired, fuel-burning buses, was at least a symptom if not one of the myriad causes of the failure of the street railway industry. The trolley was a bellwether for the impending crisis in passenger trains generally. Conversely, the growth of cities building rail transit in recent years has mirrored a growing dissatisfaction. The postwar suburban consumption-based lifestyle has proven to be an ecological, social, and economic cul-de-sac. Yet in my city of Phoenix, as elsewhere, business along the streetcar — pardon me, “light rail line” — is the bright spot of the local economy; Mesa, which once grudgingly permitted a single rail station to be built just inside its border, has seen the light called “transit means business” and is extending the line to bring shoppers, workers and students to its moribund downtown. And this reversal of the streetcar’s fortune is proving to be a bellwether for the passenger train generally. We now turn to two guest columnists. Rob Bohannan attended Amtrak’s Town Hall in Chicago last week; Daniel Carleton wrote in January on why the route studies completed in 2009 exposed fundamental barriers to our much-needed passenger train system expansion. The juxtaposition of these two columns raises the question: If Amtrak is now letting the once-hidden good ideas from inside bubble to the surface, when will we see the potential of a new equipment order resulting in new routes all across the country? Does Amtrak’s new emphasis on long distance trains as fundamental to its mission and future represent the first steps toward correcting the issues Mr. Carleton raises? Saturday, March 6, Amtrak and Trains Magazine co-sponsored a “Dialog for Progress” Town Hall Meeting at the Merchandise Mart in Chicago. Many of Amtrak’s “top brass” were there, including Board Chairman Tom Carper, President Joe Boardman, and Chief John O’Connor of the Amtrak Police Department. The three main topics of discussion were the Amtrak Photography and Videography Guidelines, Fleet Strategy, and Long Distance Service. Photography. Chief O’Connor did an excellent job of explaining Amtrak’s photography policy. Essentially, Amtrak would like to be notified in advance if one is going to do extensive photographing on Amtrak property—other than photography taken by boarding and alighting passengers or photos taken onboard trains—of the passing scenery, for example. Given the proven use of photography by terrorists in preparation for attacks on infrastructure, it is not unreasonable to have a few, simple, reasonable rules. [A strong minority points out that we once laughed at the Soviet Union and other totalitarian states for such absurdities as prohibiting photography and requiring citizens to carry identification cards. Nevertheless, railroad stations are in some fashion private property and it is entirely within Amtrak's purview to have some sort of rules. - Editor] Of course, Amtrak struggles to get the word out about the degree of leniency to all the station and other personnel nationwide and concedes that “over-zealous” employees have needlessly chastised rail fans for taking photos. Moreover, the rules only apply to Amtrak property—different rules apply for photos taken on property of other railroads, and so forth. We advocates and our “railfan” friends have a responsibility to assist Amtrak in educating others about their reasonable photography policy. Fleet Strategy. A significant aspect of the fleet policy for readers of TWA is that Amtrak is using stimulus funds to repair cars and locomotives at Beech Grove. After the meeting Saturday, we were all invited down to Union Station to see a rebuilt train consisting of two sleepers, a diner, and a locomotive—all of which had been wreck damaged. The equipment looked great: The diner was decorated in pleasing shades of navy blue and brown, and looked really classy. Long Distance Service. Regarding long distance trains, Amtrak made official their intent to restructure the Sunset and Texas Eagle routes by operating a daily Los Angeles-San Antonio-Chicago train with a connecting San Antonio-New Orleans train. The LA-Chicago train would have full dining and lounge services. Amtrak has divided their 15 long-distance trains into three groups of five. The five worst performers — including the Sunset and Eagle—will be addressed this year, the middle five in 2011, and the five best—such as the Empire Builder and Southwest Chief — will be tweaked beginning in 2012. The undesirability of tri-weekly service on any route was noted. Perhaps more significantly, Amtrak seems to be grasping—and willing to emphasize publicly — the importance of their long distance trains. One of the slides in a presentation devoted to long distance trains was titled “Long Distance Trains are Fundamental to Amtrak’s Mission and Future”. The slide included pie charts that showed that, while long distance trains provided 15 percent of Amtrak’s riders, they accounted for 24 percent of Amtrak’s revenue. Long distance trains account for 39 percent of Amtrak’s train miles but 46 percent of passenger miles. Moreover, long distance ridership and on-time performance has been steadily improving. Regarding on-time performance, Amtrak is changing the metric to include arrivals at intermediate stops, instead of just end points. Officials commented at the meeting that this change took the passengers’ point of view into consideration as well as the Operating Department’s point of view. The Passenger Rail Investment and Improvement Act of 2008 (PRIIA) provides that, beginning in 2013, there will be an on-time performance tolerance of 15 minutes for intermediate stops. Overall Impression. As encouraging as these developments are, the most significant aspects of the “Dialog for Progress” were that it was conducted in the first place, and that Amtrak recognized the need to reach out directly to the railfan and advocacy communities—the event was open to anyone who saw the notice in Trains and was one of the first 300 to register—rather than simply report the findings to any particular group. Tom Carper, Joe Boardman, and the other officials were present throughout the session and at the subsequent equipment display and responded patiently and concisely to all the questions. This was at times no small feat, with an audience so amazed at finally having a chance to speak and hear candid responses that emotions sometimes ran high. Amtrak intends to conduct more of these events and I encourage TWA readers to plan on attending. Amtrak, in the past months, has proffered three studies regarding the re-establishment of service on three lines: The Sunset Limited east of New Orleans, the Pioneer and the North Coast Hiawatha. The Hiawatha was discontinued in October of 1979 as the country reeled from the consequences of the world’s third oil shock. The Pioneer was discontinued in May 1997 as Amtrak banked its future and fortune on a then-yet-to-be-named high speed train in the Northeast. The Sunset was indefinitely suspended east of New Orleans due to track damage sustained in August 2005 and repaired by January of the following year. When summing up the hypothesized dollar figures for equipping the expanded services the amount runs between $477-534 million, depending on what options are acted upon. Amtrak appears to be settled on the inflated figure of $4.5 million per Superliner, bringing a 100 car order to $450 million. The balance would purportedly be expended on motive power. To the uninitiated it would be reasonable to assume that a public carrier would enjoy certain benefits unavailable to a private company. The rolling stock of a common carrier railroad is private property and as such subject to applicable property taxes. Private companies take great pains to justify what assets are kept as well as the spare parts on hand to keep them in a state of operation. Such justification must take into account the ebbs and flows of business. Therefore, during the ‘golden age’ of passenger rail transportation there could be found in or near major rail hubs rows of passenger cars awaiting the call to duty during times of heavy traffic demand. In 1946 the Pullman Company alone operated 5500 cars; by 1956, this was down to just over 2600. Amtrak is a public corporation and not subject to property taxes. And since Amtrak could be viewed as a work-fare program it is not a stretch to imagine public monies spent for fleets of passenger cars awaiting the call to duty during heavy traffic loads. In 1972, the roster held 1262 cars. If Amtrak’s advertising is to be believed, this was about one-third of the total cars inherited from the private railroads. Currently Amtrak rosters 1367 active passenger cars; exclusive of Acela and Talgo trainsets. Where is all the extra capacity when needed? Where is the work-fare program to sustain the domestic railcar manufacturers? 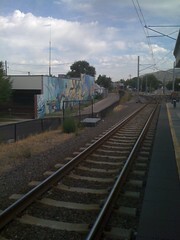 Instead of the rows of passenger cars on standby there is a one-size-fits-all passenger train running 365 days a year. Instead of a robust domestic railcar industry there is silence with the last, the Budd Company, closing its doors in 1987. Currently, Amtrak stables about 250 active diesel-electric road locomotives, exclusive of the dual-mode locomotives in the Northeast. At the height of the F40 era at Amtrak there were 216 on the roster (plus 25 GE P30CH‘s); please bear in mind there was as yet no electrification east of New Haven, Connecticut. Today, the F40 is extinct on Amtrak. With the exception of Ontario’s GO Transit, Amtrak is the only original owner of the F40 locomotive to completely phase them out. On the private railroads, locomotives could be rebuilt under a Capital Rebuild Program allowing the unit to be depreciated over the anticipated additional life of the unit. As Amtrak is a public entity and not subject to property taxes no value was seen in the F40 fleet, and they were sold to commuter railroads, freight service or for scrap. The national malaise toward serviceable passenger rolling stock has not gone unnoticed by those states desiring service. California, Washington and North Carolina have acquired cars (and in some cases locomotives) to properly address the needs of their constituents. Soon Wisconsin will join this once exclusive club as they reequip their Milwaukee to Chicago service with new trainsets from Talgo. The national malaise toward service expansion has not gone unnoticed by the federal government as may be witnessed by the American Recovery and Reinvestment Act grants (ARRA) for High-Speed Rail. In an effort to revitalize America’s passenger rail network the feds have bypassed Amtrak and instead are seeding monies directly to the states. None of these projects tapped for funds will actually attain true high speed (greater than 150 mph) but will improve or expand existing rail services. However, when there is a legitimate need for a service to be rendered a way shall always be found. Lately it appears that ‘way’ does not include Amtrak. Is it the fault of the track worker who was given defective concrete ties to install? Is it the fault of the Viewliner car attendant whose car is shaking apart around her? Is it the fault of Pullman-Standard or Budd whose doors closed for good for a lack of orders? Is it the fault of management whose priorities change just a often as the politicos they answer to? Ultimately, it must be recognized that Amtrak does not deliver any of the possible benefits of a public corporation and all of the disadvantages of a welfare program. Below is the FrontRunner South construction update March 20 - 26. To learn more about the FrontRunner South project, click here. Crews will be extending a sewer line casing in Union Pacific’s Roper Yard. At the 5300 South bridge, crews will continue to remove slope paving and start driving H-pile at the south abutment. They will also be drilling a second shaft at the bridge site this weekend from Friday night at 10:00 through Monday morning at 6:00. At the I-215 westbound bridge, crews will continue work on handrails, deck plates and shear keys. Crews will continue work on a retaining wall at the south abutment of the 7200 South bridge and also continue cleanup in the area. 5300 South will be closed between 300 West and 380 West from Friday, March 26 at 10:00 p.m. through Monday, March 29 at 6:00 a.m. so crews can work on a drilled shaft. This work will be repeated the weekend of April 9. There will be left lane closures on I-215 westbound and eastbound on Thursday night from 10:00 until 5:00 a.m. on Friday. Crews will finish extending a sewer line casing and relocate a storm drain at 9400 South and continue work on the north abutment at the flyover bridge this week. Clearing and grubbing will continue in the corridor between 114th and 123rd South and Armor Flex block installation will continue at Corner Canyon. Between 123rd and Bangerter Highway, crews will be installing reinforced concrete pipe. At the Bangerter Highway bridge, crews will form and pour concrete for two of the bridges abutments and for one of the pier footings. They will also drive H-pile for another of the bridge piers. The crossing on 9400 South will be closed again this week for utility work. On Bangerter Highway there will be a left lane closure on the westbound side on Monday and Thursday and left lane closures on both westbound and eastbound on Tuesday, Wednesday, Friday and Saturday. Crews will pour concrete this week for the station platform footings. South of the 146th South bridge, crews will continue work on a retaining wall, prepare the sub grade and grade, and finish slopes. At the South Jordan Canal multi plate structure, crews will continue installing a membrane in the canal, form and pour concrete for steps at the canal, construct a well house pad and retaining wall, and continue backfilling at the structure. They will also continue installing fencing on top of the wall they constructed near this structure. At the 2300 West bridge, crews will be forming and pouring concrete for the south abutment footing. Also in the area, construction will continue on one of the two retaining walls that will run behind the Cranberry Farms neighborhood on either side of the 2300 West bridge. The 2100 North bridge in Lehi will consist of two abutments on each end of the bridge and five center piers with the piers being numbered 1 through 5, for this publication, starting at the southern end of the bridge. Crews will remove sheet shoring at pier #3, drive H-pile at pier #4, and continue work at both abutments. Between 2100 North and 1500 North, crews will relocate existing fencing and begin excavation and stabilization for a retaining wall that will be constructed in the area, and between 1500 North and 1220 North, crews will install a concrete irrigation ditch. Between 900 North and 500 West crews will install a junction box for the Lehi Irrigation system and place surcharge for structures in the area. Crews will also be placing surcharge between 500 West and Main Street. There will be truck traffic with flaggers at 1500 North in Lehi Monday through Wednesday. Also in Lehi at 500 West 300 North there will be truck traffic with flaggers Monday through Wednesday. In American Fork, between 7350 West at Main Street and 200 South, crews will continue to work on track way embankment and sub grade prep, and, between Storrs Avenue and 100 West, crews will continue installing chain link fencing. From 1100 South to 1500 South crews will surface, line and dress the track. In Vineyard, crossing work will continue at 1600 North near the boat harbor. There will be a lane drop at the 1600 North crossing in Vineyard on Monday or Wednesday and truck traffic with flaggers the rest of the week. Crews will continue paving operations in the Park and Ride Lot. Crews will continue to backfill foundations at the station site. In Orem, track way excavation and embankment work will continue between University Parkway and 2000 South. Crews will also continue work on an edge drain and catch box in the area. Installation of soil nails and shotcrete will take place at the wall near University Parkway. In Provo, track way stabilization will take place between 600 West and Freedom Boulevard as well as demolition of a house near Freedom Boulevard and 600 South. Work on a crash wall south of University Avenue will continue this week. There will be truck traffic with flaggers all week at between 900 West and Freedom Boulevard in Provo. Crews will lay out electrical conduits at the station site this week. At the beginning of April, work is scheduled to begin on Terminal Drive, the main entrance of the airport. Lane restrictions will be in place; however, the majority of heavy construction will take place during nighttime hours. Beginning the first part of April crews will begin all underground work on 3700 West. We will meet with businesses as we get closer to construction. Right lane restrictions along Bangerter Highway just north of the I-80 off-ramp entering the airport are in place Monday through Friday and occasionally on Saturday. A traffic plan is being drafted for the work that will take place on 3700 West. More information will be provided as we get closer to construction. Work continues on the box culverts at the North and South Surplus Canals. Work is also progressing at the South Surplus Canal and girders are expected to be set in May. Crews are extending the North Pointe Canal culvert to accommodate the TRAX train. Crews continue with underground utility work on the south side of North Temple near Park’n Jet. The entrance off of North Temple to Old North Temple will be closed for a few days next week while crews install a waterline. We will meet with businesses prior to this temporary closure. Current Construction: Storm drain crews are beginning the first phases of work in Reach 4 by “potholing” or exposing utilities to determine tie-in points. Crews are scheduled to begin relocating utilities at the end of March. Traffic Impacts: There are currently right/left lane restrictions between the I-215 overpass and 1950 West throughout the day. As work progresses, there will be additional lane restrictions for both east and west bound traffic. Access will be maintained at all times. Crews are preparing to install a waterline on the north side of the Jordan River Bridge. A sidewalk will then be poured and traffic will be switched to the north side for the next several months. Heavier construction is anticipated to begin throughout Reach 5 in winter 2010. Traffic is scheduled to flip to the newly constructed north side of the Jordan River Bridge March 20. Current Construction: Traffic management extends into Reach 6 due to work on the Jordan River Bridge. However, access is being maintained. Currently, utility work is taking place on 400 West. Work between South Temple and North Temple is expected to last for one and a half months. This section of utility work will be completed prior to the reconstruction of the North Temple viaduct. The North Temple Viaduct re-construction project will begin on April 18th and last approximately 18-months. Please see the viaduct construction guide below for detour information. · During the 400 west utility work traffic will be limited to one lane in each direction on 400 West between South Temple and North Temple between 5 a.m. to 11 p.m. Access will be maintained. Please see traffic configuration below. Between 11 p.m. to 5 a.m. – Traffic restrictions will be in place on 400 West at South Temple. Construction is permitted to take place between 7 a.m. to 7 p.m. Monday through Saturday. Additionally, specific activities may require different working hours and will be coordinated with city officials.